Nassau - Opposition Leader Philip ‘Brave' Davis advised on Monday that the time has come for Prime Minister Hubert Minnis to appoint a new Chief Justice (CJ), bearing in mind that having one in place ensures the process of ‘balanced' governance. Addressing the media during the party's monthly press conference at PLP headquarters on the Prime Minister’s reluctance to appoint a new CJ, Davis said no one is forcing the FNM leader to have the post filled as it is his duty to do so. Moreover, absence of the appointment is causing much concern in the community, particularly the legal fraternity. “He has the right to act when he deems appropriate, but in that decision making process, he has to take into account the Conventions of the Constitution that relate to that duty and the role that flows from that duty to be exercised and the importance of it…….” he said. 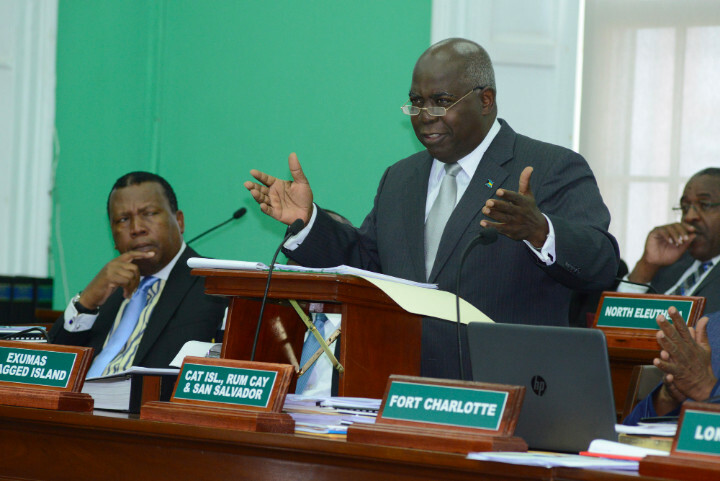 Davis confirmed that he will not support the appointment of anyone to the post of Chief Justice that is directly from the ‘Boiler Room' of politics. The party leader has in fact, repeatedly raised concerns over the matter, explaining that the existence and effectiveness of the Judiciary rests primarily in the confidence the Bahamian public have placed in it. The Member of Parliament for Cat Island, Rum Cay and San Salvador then said he is waiting on consultation for the appointment as the government must get on with it!